Puppy Kindergarten and Beginner Classes teach the basic commands, how to socialize your dog, and how to use schedules to maintain behavioral wellness. The Puppy Kindergarten Class will be offered on Mondays for puppies age 12 weeks to 5 months, and the Beginner Class will be offered on Fridays for ages 6 months and older. Read more about the program by clicking here! The Advanced Beginner Class is offered to dogs that have taken a beginner class and have an understanding of the basic commands. Owners and their dogs will hone the skills learned in the Beginner Class, and also work on left and right turns, recalls with distractions, sits and downs with walk arounds, down from stand position, and stays with distractions. The Advanced Beginner class will be offered on Fridays for all ages after the Beginner Class. The first class for Puppy Kindergarten is on Monday, March 30th at 6:30pm, and the first Beginner Class is on Friday, April 3rd at 6:30pm. The Advanced Beginner Class starts on Monday, March 30th at 7:40pm, with a second group starting on Friday, April 3rd at 7:40pm. Sign up now by calling 201-447-6000 today! If your dog needs training, whether he is a puppy or an adult dog that never learned basic obedience, we can help to get your family off to the right start. 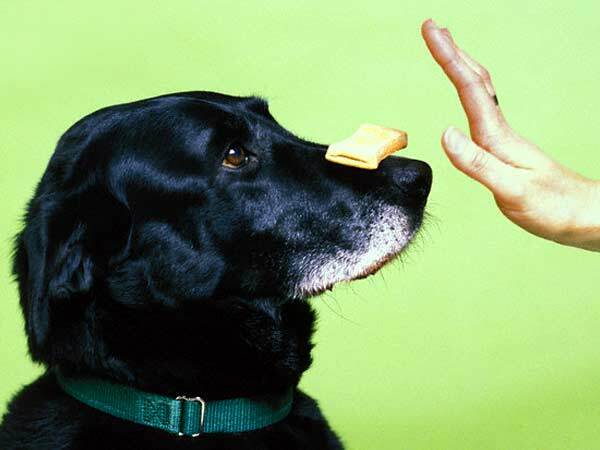 We can also help if you have a dog that doesn't learn as quickly as most, or forgot what he learned. Our goal is to help you build a relationship with your dog, to train your dog to give you his attention when needed for training and safety, and to teach your dog the foundation behaviors which are necessary for all future training and learning.